Showers have become an integral part of current lifestyles all over the world. 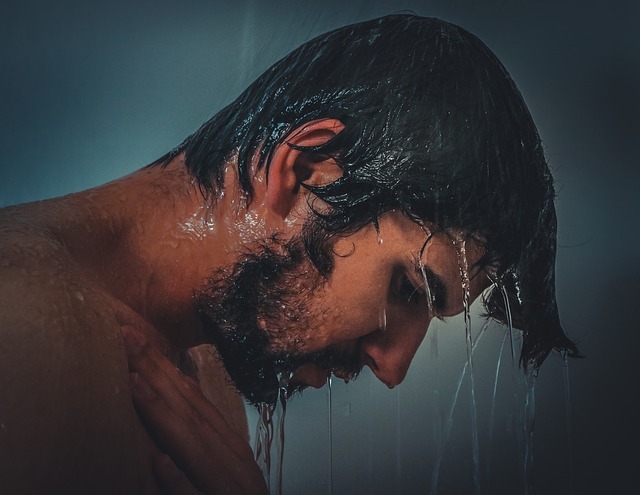 There’s nothing like an invigorating shower to help start your day and another one at night to loosen up those tired muscles in your body before going to bed. If you are a “shower” type of person, then for sure having the proper temperature of water is important to you. Some like the water to be piping hot while others prefer a lukewarm temperature. But getting just the right temperature you want can be a problem with regular showers, which give you temperature spikes when other water taps are used. Those that operate with boilers can also be a problem in case the boiler doesn’t have enough water or when the boiler itself breaks down. Choosing an electric shower is the best decision in this case. In fact, more and more people are choosing electric showers over other types nowadays. Read on to know why! Check out our comparison of electric showers. An electric shower has a heating element which warms the cold water as it runs through the pipes before the showerhead dispenses it. To put it simply, it has a device which is similar to a kettle which heats the water. 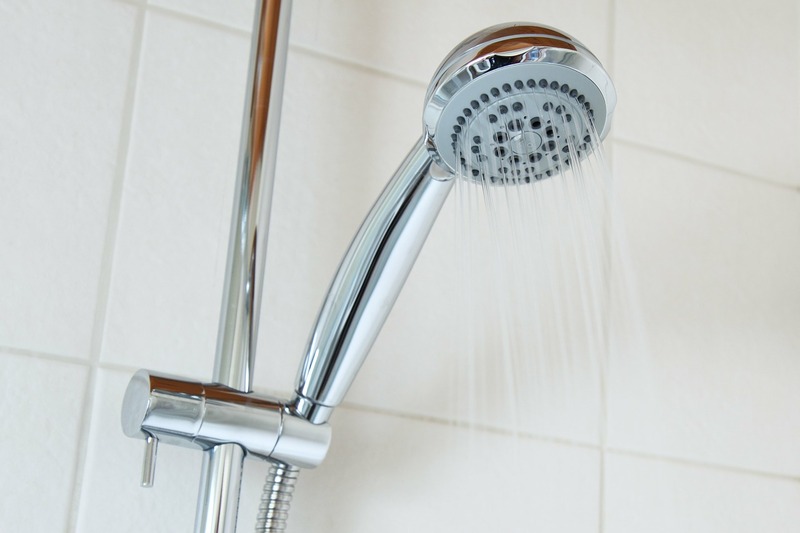 When you turn on the shower, the heated water’s temperature is regulated according to your specifications before it is dispensed by the showerhead. Installing one would give you both luxury and practicality because of the benefits it gives. The foremost benefit is that an electric shower is economical since it only requires a cold water supply. That means you don’t need to heat water that you are not going to use. Moreover, even if your boiler breaks down, you can still have hot water for your bath since the water doesn’t need to be heated through the boiler anymore. Purchasing one won’t also be a problem because electric showers are relatively affordable. In addition, electric showers use up less energy so you get to save on your bills as well. If you are worried about temperature spikes, you are better off choosing an electric shower that is thermostatic. 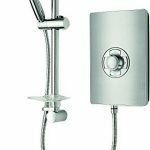 Thermostatic electric showers have the ability to control the temperature of water to about 1 to 2 degrees Celsius. This means that you don’t have to worry about temperature changes even when other people inside the house are using other water sources. It’s because of this feature that thermostatic showers are also called “care” showers. 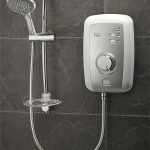 Because of the advancement of technology, many electric showers have also become computerized with LCD and remote controls, making their settings easier to change according to one’s specific needs. With a remote control, you can even manipulate the shower settings from a distance, say, from your bedroom. There are also newer styles which have memory functions — these enable the settings to “remember” a certain user’s shower settings. Talk about smart showering! Electric showers even come in compact designs with clean and simple lines; thus, they do not take up much space in shower areas. Most electric showers have 8.5 to 10.8 kW power. The higher the power the shower has, the more powerful it will be. At this point, you must know that electric showers tend to have weaker flow compared to other shower types. This problem can be easily remedied, however, through the installation of a pump. In the installation of an electric shower, it is highly recommended that you get assistance from a professional, either an electrician or a plumber. 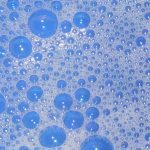 While the mechanics of an electric shower is simple, the inner workings may be too complicated for you to tackle on your own as a DIY project. 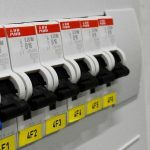 Getting a plumber or an electrician to do the installation will ensure that the work is completed well. 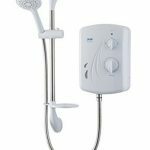 If you prefer the easiest and fastest installation, then you should definitely choose an electric shower model which has top, bottom, side, and rear cable and pipe entries. This will ensure easier routing. Moreover, it is recommended that you choose a shower that has a large space inside the casing. 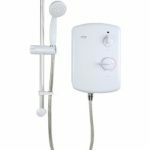 It is also important that you look for a shower model that has the same electric and water connections to your older one. This will ensure an easier installation as well. 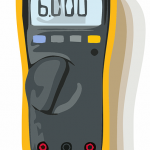 Start and Stop push buttons: This will help you set the power and temperature you want. Cold-eco-high dial or button: This lets you adjust the energy when the natural water temperature is high or low in summer and winter, respectively. Look: A more compact and streamlined design makes for a more discreet appearance in your shower area. Low pressure indicator: The water pressure affects the performance of the shower so an indicator can help you determine if the water pressure is getting low. Easy installation technology-swivel: An inlet swivel of 180 degrees allows water connections to match existing connections. Electric showers are always a great choice, especially for a large and busy household. They are practical but they give you the luxury of showering with the right temperature without sacrificing too much of your budget on electricity and water bills. What types of shower heads do we know?